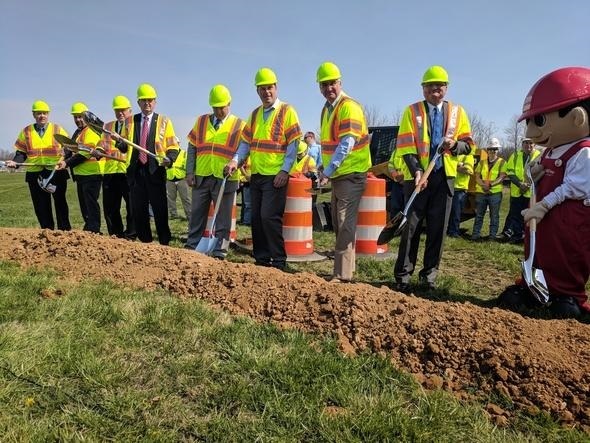 Construction has started on a $143 million expansion of Interstate 65 between Columbus and Seymour. The Indiana Department of Transportation (INDOT) is working with contractor E&B Paving to add a travel lane in both directions of I-65 between S.R. 58 (Exit 64) near Columbus and U.S. 50 (Exit 50) near Seymour. The project includes replacing existing pavement along the 14 mile segment that includes the new travel lanes, repairing and resurfacing pavement on a three mile segment between S.R. 58 and S.R. 46 (Exit 68), and rehabilitating 27 bridges.